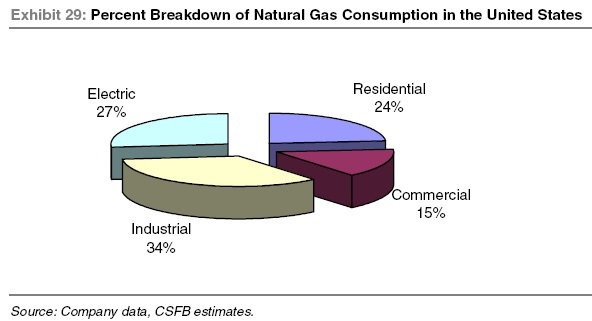 Natural gas is a naturally occurring misture comprised manily of methane (CH4), with varing amounts of heavier hydrocarbons such as ethane, propane, butane and pentanes (known as natural gas liquids). This mixture often contains other non-hydrocarbond substances such as carbon dioxide, nitrogen, sulfur and/or helium. Both NGLs and non-hydrocarbons are stripped from the methane at gas processing plants prior to its transportation and sale to end users with the NGL also being sold for commercial use. 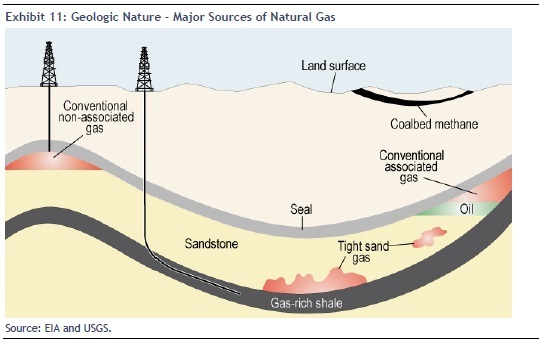 Conventional gas accumulations: Natural gas remains trapped by an overlying impermeable formation, called the seal, when it migrates from its source rock into an overlying sandstone formation. Associated gas refers to natural gas being accumulated in conjunction with oil, while non-associated gas accumulated on its own. Tight sand gas: Similar to conventional gas reservoirs, natural gas migrates away from its source rock but, rather than accumulating in larger concentrations in stratigraphic traps, it sees its migration ability limited due to the reduced permeability of the rock it encounters and remains diffused over larger areas. 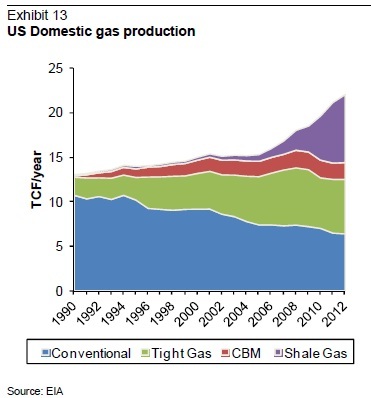 Shale gas: Natural gas remains trapped in its source rock from which it is unable to migrate. An abundance of North American shale gas discoveries in recent years has weighed on natural gas prices. Coalbed Methane (CBM): Natural gas results from the transformation of organic material in coal. CBM is a type of natural gas produced from underground coal seams, and is virtually 100% methane.